We’re HUGE Marvel fans. It isn’t uncommon to see us at sneak previews or even walking the red carpet for a Hollywood premiere! We religiously watch every family-appropriate Marvel television show and anxiously await for the girls to be of the right age to introduce them to some of the more mature versions on Netflix. This fall is the first time we’ve actually purchased our tickets for the next Marvel movie well in advance. Reviews for Thor: Ragnarok have been outstanding so far and we don’t want to be stuck in a side seat at the theater for our first showing. We bit the bullet and paid the overpriced “convenience fee” to reserve our seats ahead of time. Hopefully it’s half as good as people are saying. Many times we’ve taken friends to the theater with us, only to find out that they’re much more knowledgeable about the Marvel Cinematic Universe than we are. And not just a little…MUCH more. So much so that I almost felt the need to turn in my Marvel Superfan card after realizing the sheer amount of information we had never noticed or realized. 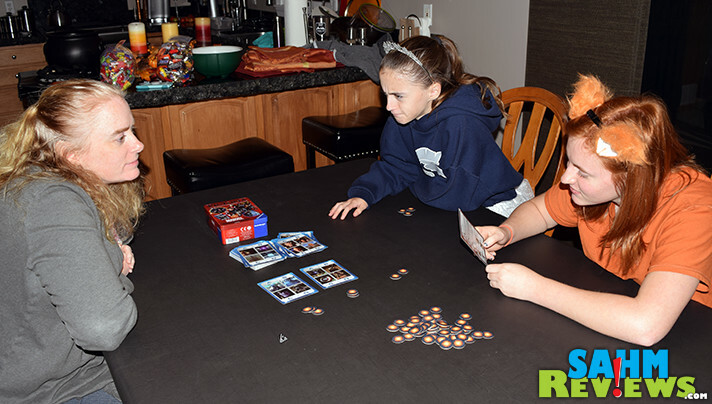 It was at our local game night that we realized we could never invite them to play a round of our new copy of Pictopia: Marvel Cinematic Universe by Ravensburger. We wouldn’t stand a chance. This is actually the first time we’ve ever played any version of Pictopia. 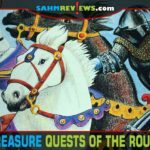 We normally shy away from trivia games, but made an exception since we thought we knew enough about the subject matter to make for an enjoyable and competitive game. And we really liked how the game is set up. From a deck of 50 cards, three are dealt to the center of the table with the photo answers showing! 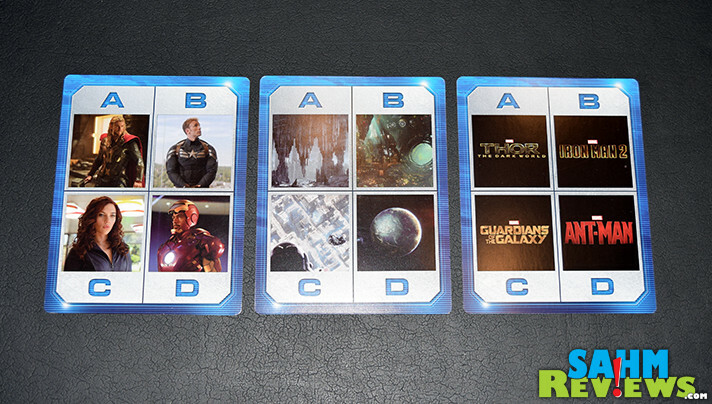 Below each card a token is placed, which you can win if you are successful with your answer. 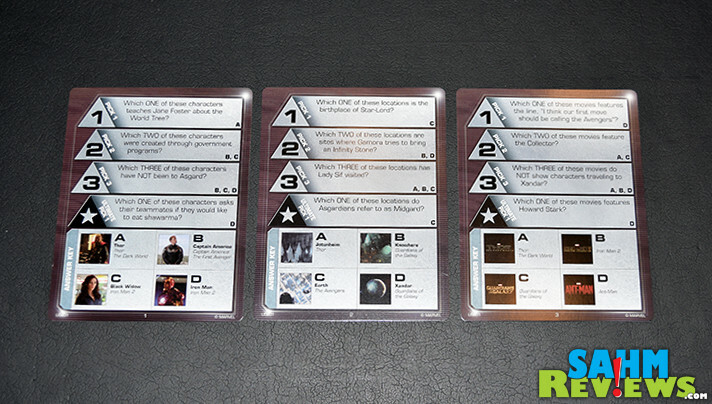 On your turn you select one of the cards you think you can correctly solve and roll the included custom 4-sided die. The result of your roll will dictate which question you are asked from the other side of the card. All of the questions are multiple choice, but may have more than one answer needed to be correct. A “1” on the die will require you to pick ONE answer to the question. A “2” will need TWO answers. A “3”? You guess it, three of the options are valid and you must select them all. The fourth side of the die is a “star” and gives you a choice. 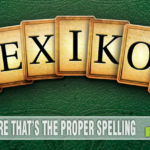 Either answer the question correctly to win the tokens or take a pass and move on to the next player. Why would you pass? For this option, if you miss the question you must also PAY an equal number of tokens back to the pool as there are currently underneath the card! 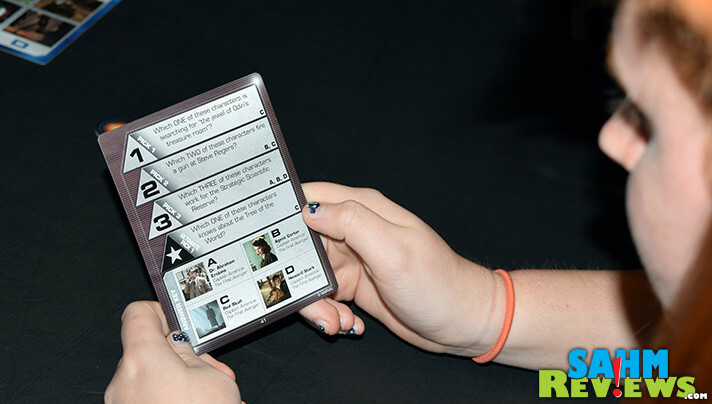 After each turn a new card is drawn to replace the used card and an additional token is placed underneath each card. There is no limit on how many tokens can be under a card, and the more tokens offered makes it more attractive to try, no matter how difficult the subject. 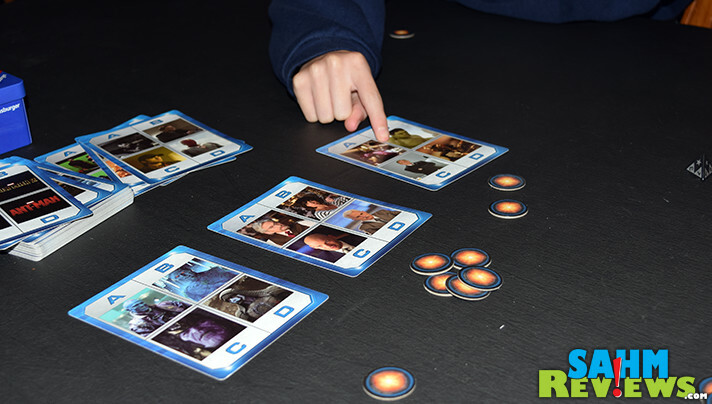 Pictopia: Marvel Cinematic Universe supports from 2-6 players, and depending upon the number in your party, ends when a player collects the required number of tokens into their personal pile (between 10 and 15). The questions covered a broad range of Marvel movies, from Captain America to Ant-Man to Iron Man and even the Incredible Hulk and Doctor Strange (and of course The Avengers)! With the answers in photo form, you have to be on top of your supporting characters as well. If you’re not an expert in the MCU, you will be after playing this game! Copies of Pictopia: Marvel Cinematic Universe are super-affordable on Amazon at under $15 shipped. You might also wish to check out their Facebook timeline to see what the next licensed Pictopia might be. They already have a Disney and Star Wars version – maybe they’ll issue an update to this Marvel one to include this weekend’s movie! I’d better take notes when we see it on Saturday! Which Marvel character do you know most about? We can’t wait to see the new Thor movie because we are all big Marvel fans in my family. It never hurts to learn more about anything so this game would be perfect. 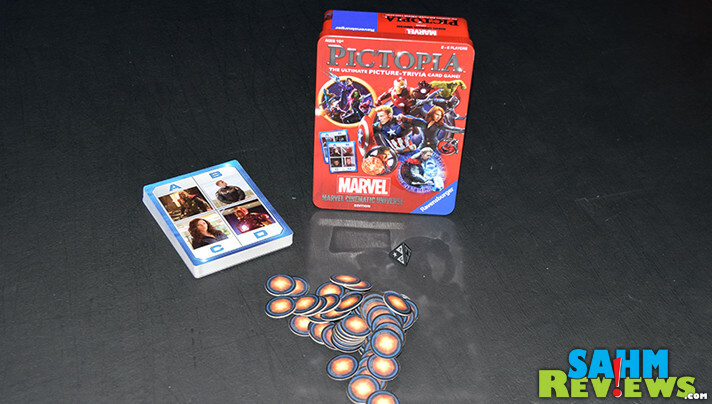 The Pictopia: Marvel Cinematic Universe game sounds like a great family game. Thanks for sharing this awesome game. I haven’t seen the movie and I bummed. But with a nursing baby movie watching is in the back burner I am afraid. Looks like a fun game for the family! Oh and I love Thor, the Hulk is pretty cool too! This has been great year for superhero movies! I love it! With all the Marvel characters with Thor and Superman being my favorites! My grandkids would do better on the trivia than I would. Even with playing Star Wars Trivia. But I would be a force to be reckoned with playing Disney trivia. I too hope I’m not disappointed with movie #4. I think it comes out April 26, my oldest granddaughter’s 23rd birthday. such a great way to theme a day with something! We haven’t sen the movie yet, looking forward to it. I’ve never heard of this game, bUT it looks cool. I love Marvel soon. Sounds Great and lots of fun! I love all things superhero and can think of so many people who would enjoy this game! My granddaughters are into super heroes, they are 7 & 8. My favorite hero movie is Superman, that shows how old I am. Wonder Woman is the Marvel character that I know the most about. We love superheros! This game looks fun! Since I read Superman comics when I was a child (back when dinosaurs roamed the earth), I probably know him the best. Growing up reading Marvel comics made quite a few of these super hero characters almost like family members. The one that I know the most about is Wonder Woman, my idol! 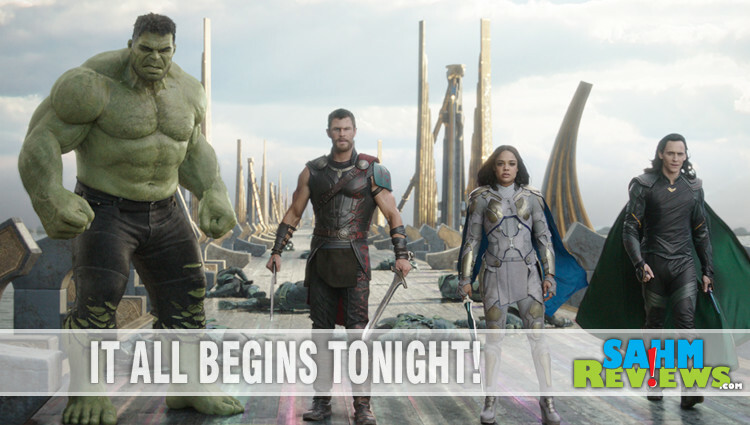 Ragnarok sounds ominous…should be an interesting edition to the Marvel galaxy of super heros…go Thor! Growing up reading Marvel comics, I know a lot about the classics: Superman, Wonder Woman, Green Lantern, etc. Shows how old I am since those comics cost anywhere from 10 to 12 cents each. I have never seen this game before your post. This looks like such a fun game! Perfect for family game nights. I probably know the most about Wonder Woman since there were so few female super heroes growing up. This Thor Ragnarok game sounds interesting too!